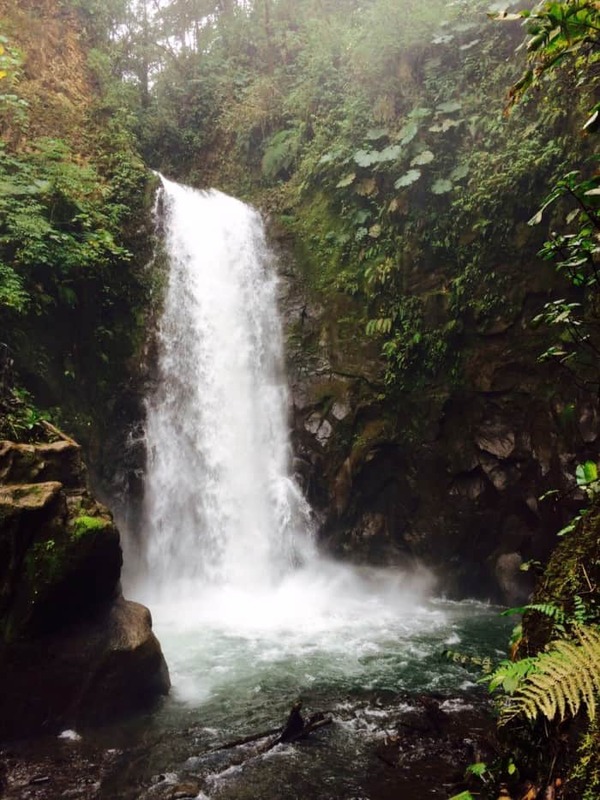 VARA BLANCA, Heredia — When I walked out of my room in my swimsuit and flip-flops, my Tica friend examined me skeptically and then erupted in laughter. We were about to leave for a day trip to La Paz Waterfall Gardens in Heredia, and it was as if I just walked into a track meet wearing a tuxedo. “I’m pretty sure you can’t swim there,” she said. “Well, ‘can’t’ is not always synonymous with ‘shouldn’t,'” I said. Five minutes later, after looking up park regulations on my phone, my defiance wore off and I put some pants on as we left San José for the cloud forest in Vara Blanca. 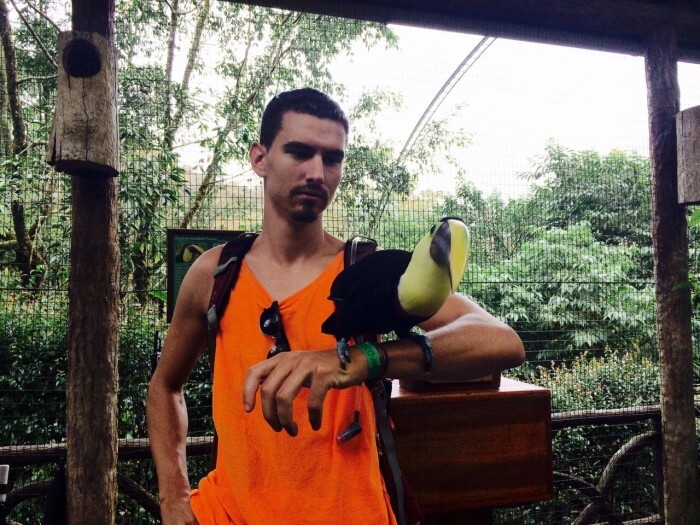 Although La Paz Waterfall Gardens is said to be the third most visited park in the country behind Poás Volcano and Manuel Antonio National Park, I was mostly ignorant of what the privately owned park offered. Not only did I figure swimming was allowed, I also had no idea that La Paz boasted a huge offering of big cats, monkeys and rare birds. A surfer, Banks had visited Costa Rica numerous times before deciding to open La Paz. 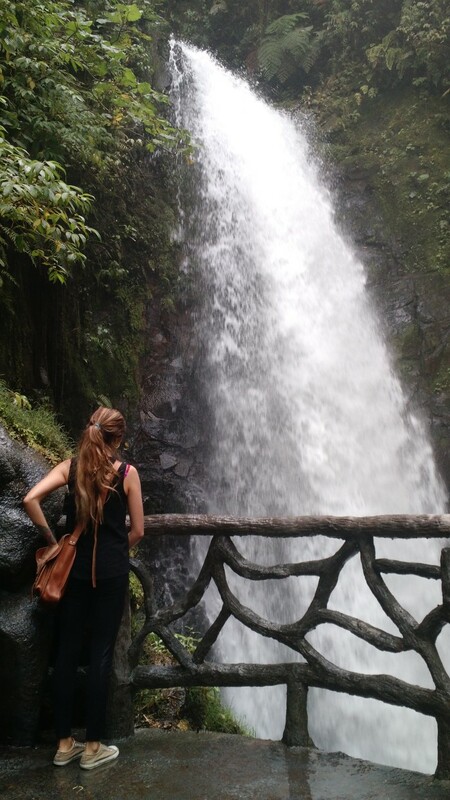 He said he would visit the country’s other waterfalls, like at Arenal, but always thought the paths to them were treacherous and hard to access. With his own park, he wanted to give tourists and wildlife lovers a more accessible way to see the diverse animals and natural wonders that make this country stand apart. He opened the park in 2000 after two years of construction and it debuted with not much more than the waterfalls and a butterfly house. With support from the wildlife department of the Environment Ministry (MINAE), Banks has taken in a wide array of jungle animals that has helped attract nearly 200,000 visitors per year, giving those visitors a way to make sure they don’t leave the country disappointed, he said. Any lingering disappointment that I had from not being able to swim the waterfalls’ pools was forgotten when we toured the numerous animal exhibits. 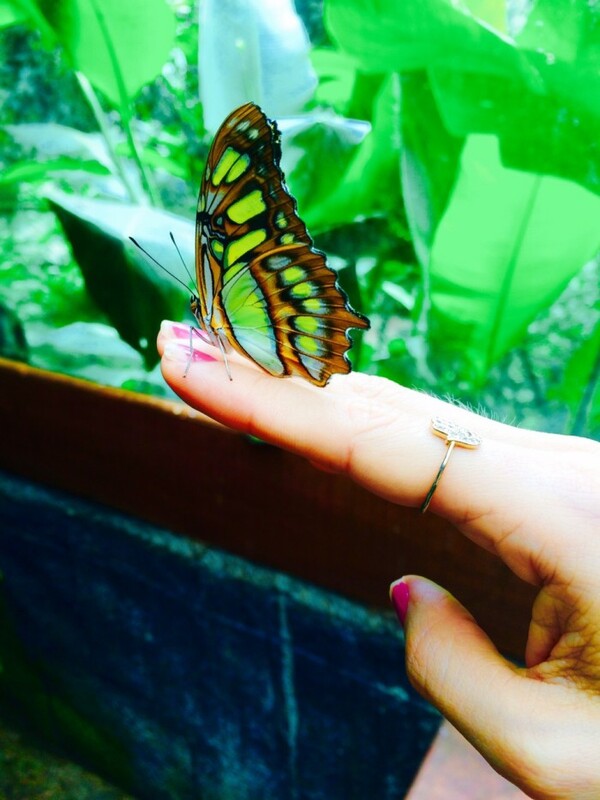 Whether it be holding a toucan on your arm, having butterflies land on you or shaking hands with a spider monkey, visitors get to dive into Costa Rica’s wildlife with some unprecedented interaction. After a quick lunch at a campesino restaurant near the park, we came back to watch the jungle cats eat their own lunch during their daily feeding at 3:30. Awaiting combinations of raw pork, chicken and beef, the felines propped up around feeding time and paced in hungry anticipation. 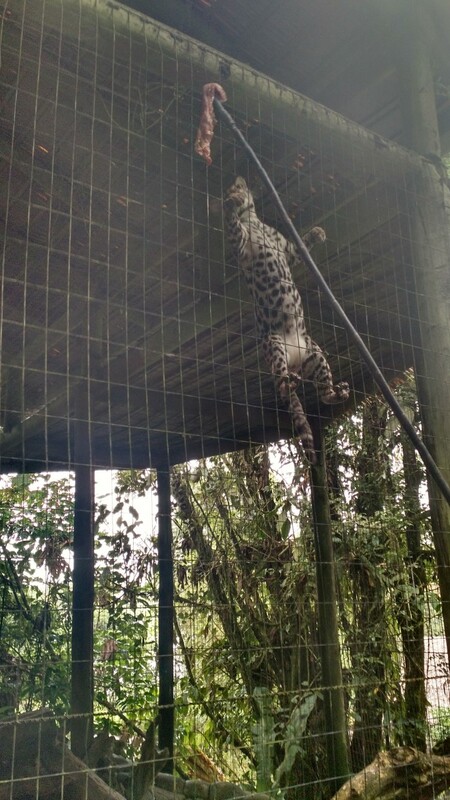 The big cat exhibit started after a wildlife sanctuary designed to rehabilitate and care for the animals lost funding and had to shut its doors. As 35 jaguars, ocelots, jaguarundis, margays and pumas were suddenly left in limbo, MINAE offered to give some of the cats to La Paz. Now the park helps to keep the cats well-fed and healthy, but also offers some breakthrough for conservation efforts in a country where their numbers are dwindling. A trio of 5-month-old jaguars here are the only jaguars known to be born in captivity in all of Costa Rica, Banks said. “We’re not in the business of reproducing animals but in certain cases, like with the jaguars, there are none that are reproducing here so it gives us a chance to help the species,” he said. 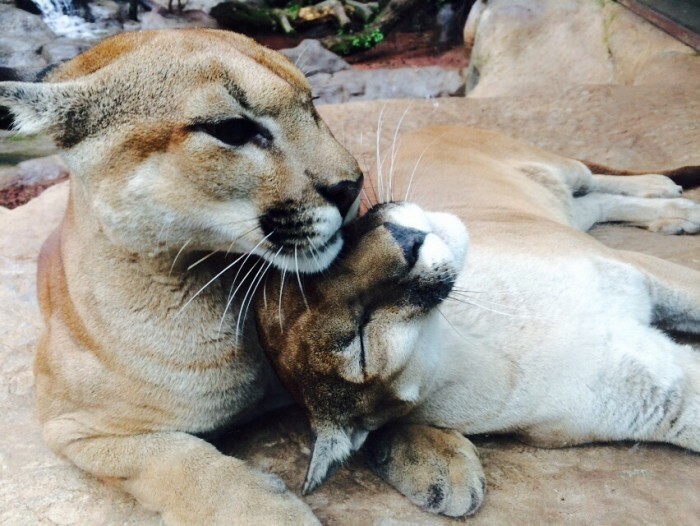 The park has also seen the birth of two pumas and an ocelot, Banks said. Banks, who lives in Fort Lauderdale, Florida, with his family, comes to Costa Rica a few days out of every two weeks to check on the park, but said he largely relies on Costa Rican workers to make sure operations run as smoothly as possible with over 100 species of animals to take care of. When the park’s agreement with MINAE began, the ministry gave La Paz two spider monkeys that had been badly mistreated and starved. But after some care from La Paz’s workers, the monkeys got back to full health and are still living in the park today. Families and older tourists will appreciate the paved paths that wind between waterfall lookout points and animal exhibits, without no need for arduous hiking or braving precarious conditions. Banks said this easy access to some of the country’s most breathtaking natural resources leads to a lasting impact in teaching those visitors lessons in conservation. Getting there: From San José drive north to Heredia on Highway 3 before switching over Highway 126 just north of town. That will lead you to Vara Blanca after an hour’s drive and La Paz Waterfall Gardens will be on your left. Admission: $40 for foreigners; $22 for residents.